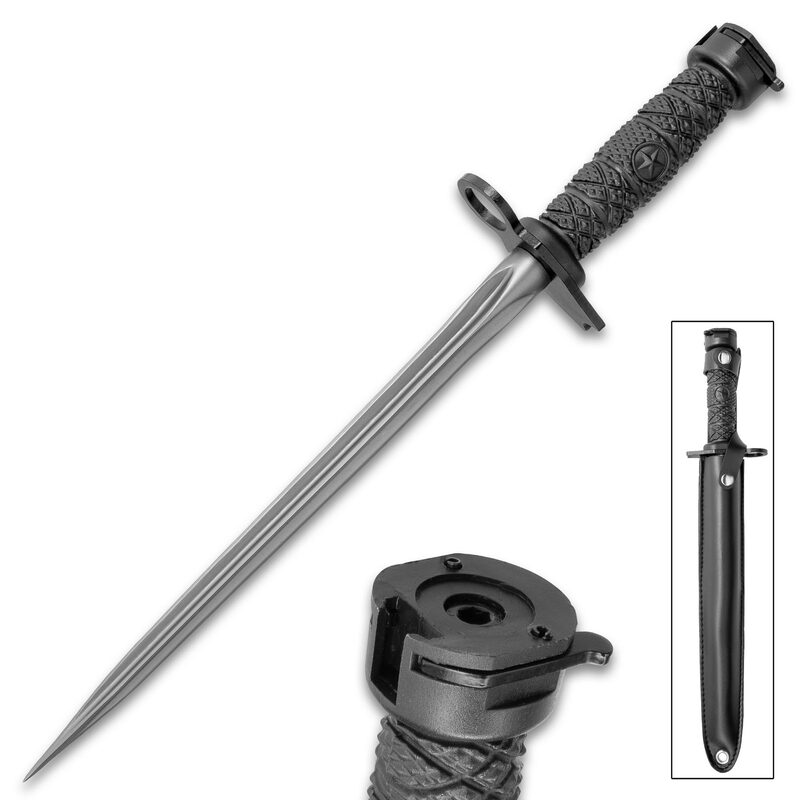 Grey Rifle Bayonet And Sheath - Stainless Steel Quad-Edged Blade, TPU Handle With Bayonet Clip, Guard With Muzzle Ring - Length 15 1/2” | BUDK.com - Knives & Swords At The Lowest Prices! 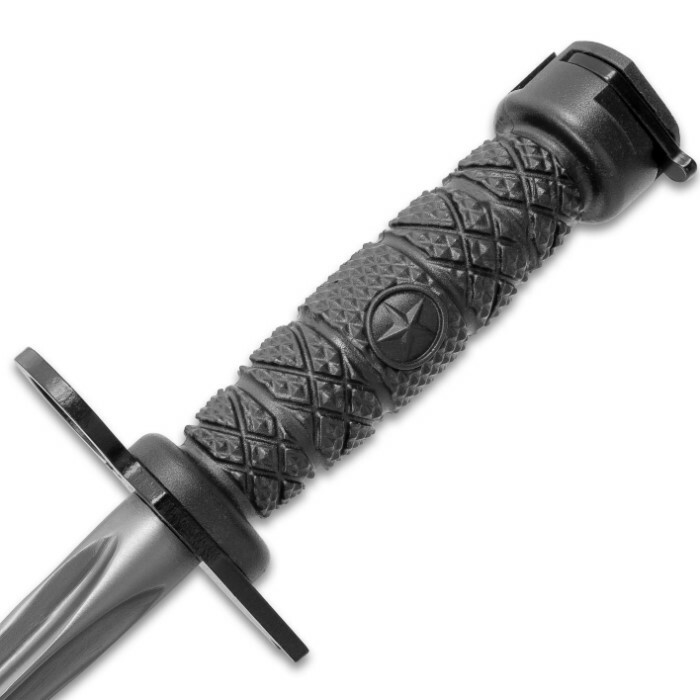 Our Grey Rifle Bayonet And Sheath makes a great companion to your rifle, especially in the heat of battle when anything can happen! 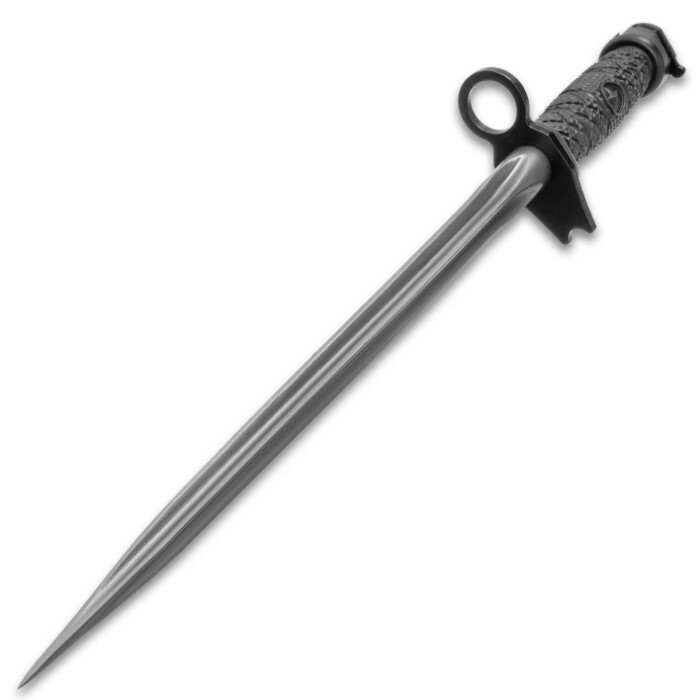 The bayonet has a quad-edged, 10 1/2” grey stainless steel blade that comes down to an incredibly sharp piercing point. 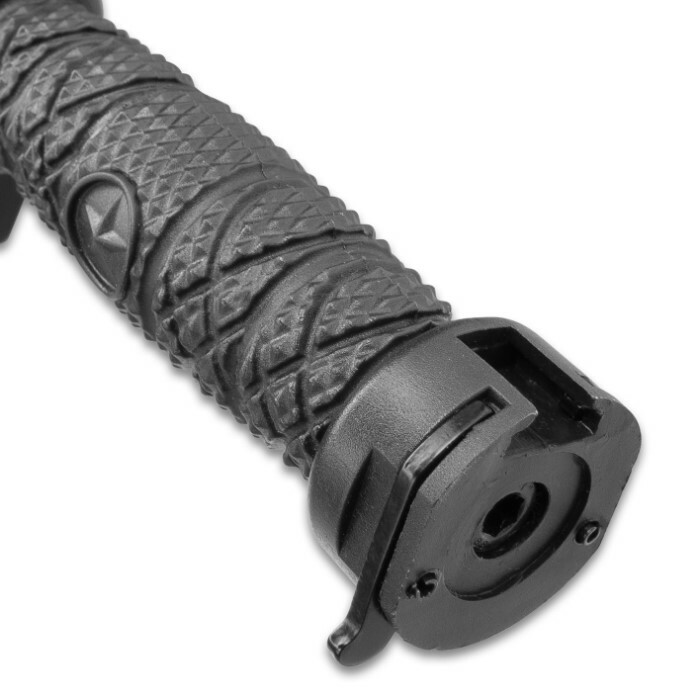 It has a textured, TPU handle with an integrated clip on the pommel, that fits any standard bayonet lug, and a stainless steel muzzle ring guard. 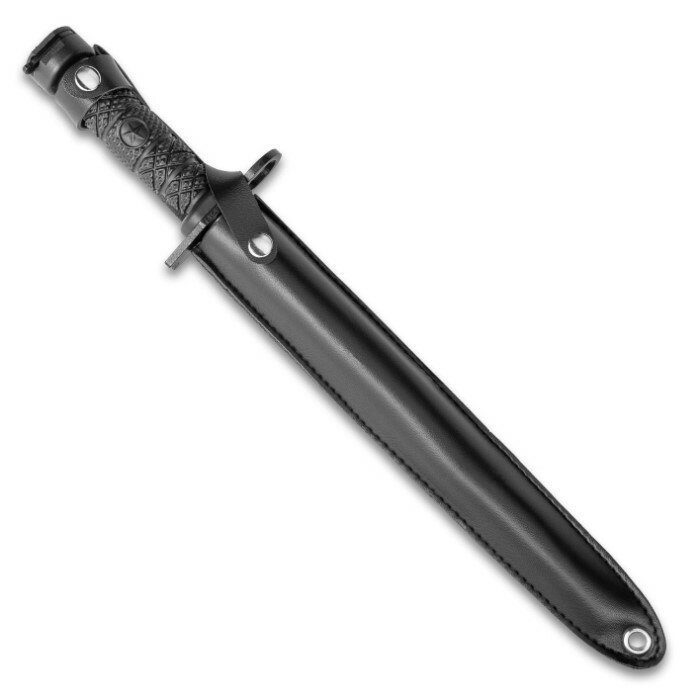 The 15 1/2” overall rifle bayonet slides securely into a sturdy vinyl belt sheath, which has a snap closure and a lashing hole at the tip. Good quality overall except bayonet lug socket doesn't fit the one on my AR15. I tried to force but being plastic, it just started to tear up. 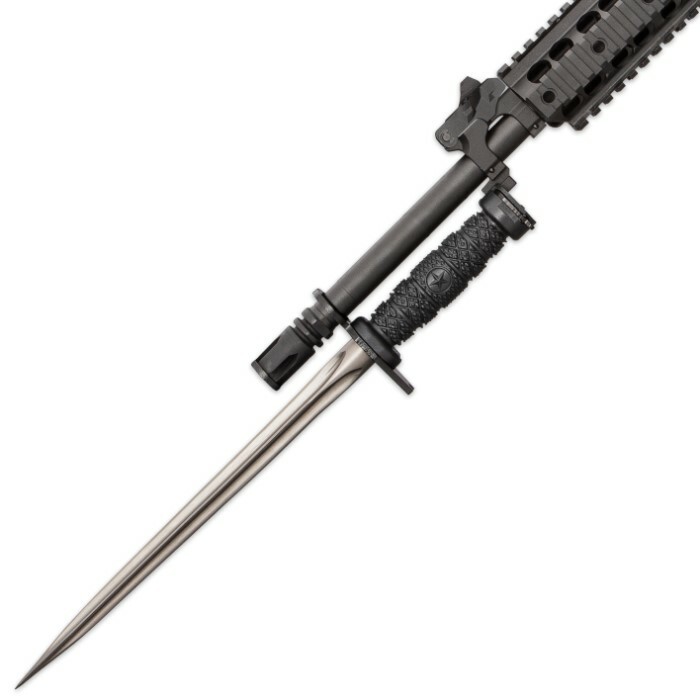 Also, the lock latches don't engage properly so bayonet pulls off easily. Sheath is a little cheap.